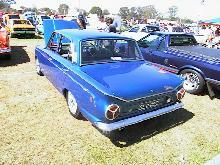 Ford launched one of its most important models in 1962, the Cortina (Mk I). 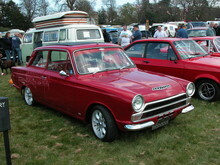 The Cortina was an instant sale success and went on to become a household name, particularly in the UK. 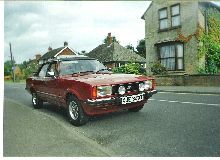 The Mk I Cortina used a new bodyshell with modern and tasteful styling and came with a choice of either 1200 or 1500 four cylinder engines and in "standard" or "Super" trim. 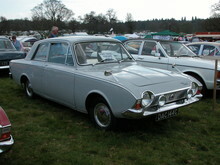 From 1963 a more powerful Cortina GT was also available alongside the standard models. 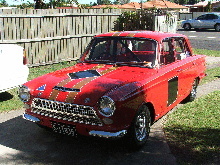 The GT used a tuned (83bhp) version of the 1498cc engine that was used in the Cortina Super. Front disc brakes were standard, automatic transmission optional and there was a choice of two or four door saloon bodies. 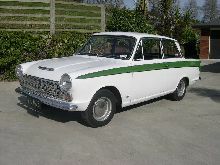 The Ford Cortina GT proved popular as a "quick" road car and faired well in saloon car racing and rallying events. 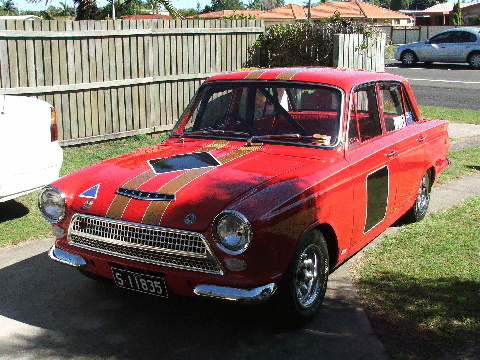 Production of the Mk I GT finished in 1966 with the arrival of the new Mk II Cortina. 8' 2" 4' 1" 14' 0" 5' 2" 0 (17) 0' 0"